Flew down here today after we almost forgot to get the visa ..yep I know.. its one of the essentials, but with so many things going on and when someone else is organizing things for you, we tend to get complacent and believe things are taken care of. But then sometimes, luck favours you and things work out, and we got the visa in less than 24 hours. I am here for a very interesting show. As usual I am superstitious about talking about what I am about to do. Rather comfortable reporting that I have done something. I will be here for the weekend. Only that since today is Good Friday there is not much that I can do, not much looking around or shopping (not that I like it..) but then .. well..
5 years back when mom and I flew to New Delhi for a show, we happened to fly Indian Airlines. At that point in time, I had just started out as a playback singer but Kannathil Muthamittaal and some other songs had already released. A gentleman, probably in his 40-s working with IC recognised me, and when I got off the flight, he gave me a bar of chocolate and wished me all the best. And I met him again today inflight, and we both remembered the incident. Situations were almost the same. The last time the business class area was empty except for mom and me and IC employees. Likewise this time. Its weird how time seems to present some people and incidents that you least expect at you, and some of them are totally deja vu, or rather deja-happening. This meeting was one such and a happy one. Also happened to watch 'Enchanted' inflight and I am soooo happy that I didn't waste bucks watching it at at a theatre. Thank Gawd! Hi Chinmayi i myself feel happy about that coincidence..it really feels good and cool to meet someone who had encouraged and wished you when you were completely new to the industry, again when you've reached a good state..
(I guess, this could be my 100+ time of my hat getting off from head for you in these 3+ yrs in blogging). hey chinmayyi...have a nice weekend and good luck for your show! time - remember our discussion on this topic sometime ago?! any plans for the US? 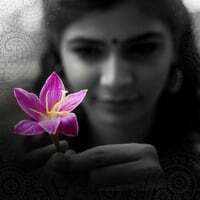 Chinmayi Good Luck and don’t forget to take photos! was the show "Enchanted" that bad? I am ur fan ,I saw u for the first time hosting "Super singer" in Vijay TV.I have a heard a lot about u but recently started reading ur blog.Ur so versatile,blessed with such a sweet voice.I wish all Indian women come up in thier life like u.I really wonder how u have the time to do so many things.It gives a positive feel reading ur blog.. I wish u gud luck in all ur endeavours.